Social media terms and conditions is a subject area that is a little dry, so when asked to assess a network’s user agreement, I wasn’t sure which network to choose. In the hopes of being somewhat original, I focused my attention on LinkedIn. I can’t argue LinkedIn’s value, but much like terms and conditions, it’s not the most exciting social network. I was pleasantly surprised when I went to LinkedIn’s User Agreement page. I’m not saying that I’ll go to the page for pleasure reading, but after looking at Facebook and Twitter’s user agreements, I think LinkedIn may have the advantage. Like Facebook and Twitter, LinkedIn’s User Agreement is long and contains a lot of jargon. There’s really no way around it if they want to protect themselves. Unlike the other two networks, LinkedIn breaks down each section of the User Agreement into concise, easy to understand segments (below). Not only does this help ensure that users are reading the terms that they’re agreeing to, the organization and breakdown helps users to actually understand what they’re agreeing to, which is an ethical win for LinkedIn. No user can claim that they couldn’t make sense of the terms and conditions. Another great aspect of LinkedIn’s User Agreement is that there is a breakdown of what user responsibilities are, and then a section about what the company’s rights and obligations are to the users. On Facebook, the majority of responsibility is placed on the user. It’s nice that LinkedIn acknowledges that they have some accountability in the equation. This section also provides the network some security because if someone comes to the network with a complaint or problem, they can point to the User Agreement and show that they were up front about both the user’s and company’s obligations. You hear about the implications of unethical behaviors on the “more social” social networks all the time. False representation or catfishing, has effected celebrities and professional athletes, and now there’s even a show dedicated to the unethical practice on MTV. As inconvenient as it may be to discover that someone else is using your photos or falsely representing you on Facebook or Twitter, can you imagine the negative implications of being falsely represented on LinkedIn? This is the network that is viewed as professional, so a fake profile could really ruin your career and your life. While LinkedIn can’t force anyone to be an ethical person, the company’s User Agreement does take the necessary steps to protect users and the company itself. When LinkedIn users sign the User Agreement they agree that, “You promise to only provide us information and content that you have the right to give us and you promise that you LinkedIn profile will be truthful.” LinkedIn states that they have the right to suspend or terminate the profile of anyone who creates multiple or fake profiles. It seems as though LinkedIn has considered the major ethical implications, and they’ve done everything in their power to create a positive and secure user experience. Most employees and businesses understand that it’s crucial to have a social media presence, especially in a competitive job market. In 2012, one out of every six job seekers landed a position with the help of social media, and 93 percent of recruiters were utilizing LinkedIn. LinkedIn is no longer just a network where job seekers copy and paste their resumes. Kristi Hines suggests updating your profile regularly to show employers that you’re engaged and the right fit for their company. With so much emphasis placed on LinkedIn profiles, and because the network is rapidly expanding, it’s important that you make your page stand out from the crowd. Here are four basic tips for getting your page noticed, and in a good way! Lewis Howes says your headline should say who you are, who you help, and how you help them. Your profile is seven times more likely to get viewed if you have a photo. Remember that LinkedIn is about professionalism, so don’t post a picture of your baby or dog. According to Libby Kane, 19 percent of recruiters look only at your profile picture on LinkedIn. Are you surprised that so much emphasis is put on the profile picture? Shouldn’t your credentials be more important? A summary is the place where you can tell companies about your goals, passions and accomplishments. Even though the site is a business tool, the summary section allows you to make a human connection, so you’re not just another job seeker. You never know what type of experience may attract an employer. Even if a previous job was unrelated to the industry you’re pursuing, a recruiter may have had a similar experience, and will understand the benefits of that experience. If an employer is interested in you, they’ll need to have up-to-date contact information. Link your other social media accounts to your LinkedIn profile so employers can connect with you in multiple places. If you want to go beyond the basic steps, add work projects to your page, join industry groups, get endorsements for your skills, and cater your connection requests to the person you want to connect with. I’ve discovered that if you want your connections to endorse your skills, try endorsing their skills. Anytime someone endorses me, I usually go to their page to reciprocate. Endorsements are a great way to showoff your skills. How have you made your LinkedIn page stand out? With more and more people utilizing LinkedIn, some people believe that the site is a target for hackers and scammers. 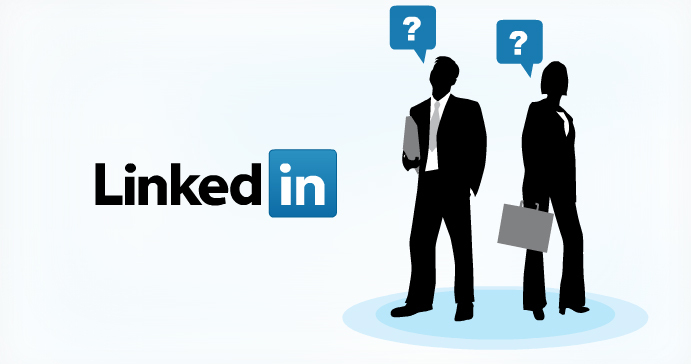 Viveka von Rosen wrote an article about how to secure your LinkedIn account. While some of Rosen’s tips, like adding all of your emails addresses and scoping out competition anonymously seem helpful, others seem to defeat the purpose of the network. Rosen suggests turning off your broadcast feed and hiding your groups and connections. LinkedIn is a place to network and sell your brand, so why would you want to hide your activities and professional groups? It’s connections and transparency that get you hired, so I think it’s best to forgo Ronsen’s advice.